This year I’ve signed up to race Ironman Malaysia in November. 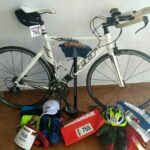 I normally try and race at least once a year although last year I was lucky and managed to squeeze in a half Ironman in Phuket, Thailand after my full Ironman race in Wales. 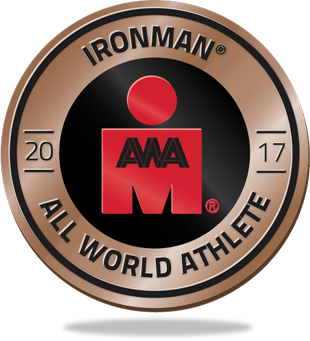 For those of you who may not know it Ironman involves a 3.8km open water swim, 180 km bike ride and a 42.2 km run (marathon) to finish. A half or 70.3 (the full is 140.6 miles but isn’t often called that) is exactly half of the full race. 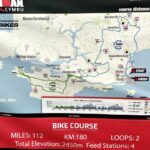 A full distance Ironman is often described as the hardest one day event due to the multiple disciplines and distances involved. 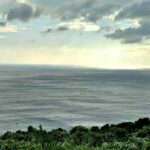 Follow my progress during Ironman Malaysia training. Its now 2 months out from race day and training is going very well. For the first time before a race I’m not working in a kitchen as a Chef. This gives me a massive advantage in that the training can be more focused and intense with more rest time between sessions. Training for any Ironman takes time. Think of those couch to 5 km programs you see and if that takes 3 weeks imagine what this will take. A good 6 months of training is a base line. So long as you’re fit to start with. 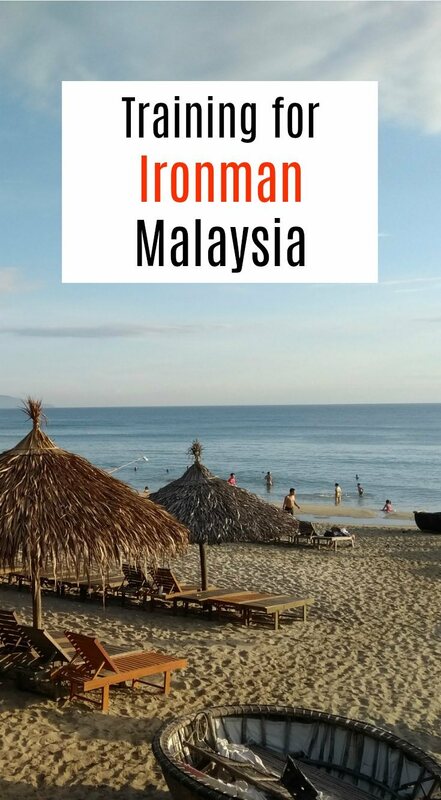 Let me take you through my training plans and how I am preparing to race in Ironman Malaysia. There is a lot of volume associated with Ironman training. You’re training for three sports in one race so the amount of volume and time will be much bigger than just training for a stand alone marathon or bike race. I typically train 6 days a week and will do each discipline 4 times in a week although the swim sometimes only 3. I gradually build up the distance and time with each week rotating on a 3-4 week block where I’ll cut back a little when I start my next block. This week is at the end of a block and will see me train for close to 20 hours. I’m at 12 hours at the halfway mark although I’ve done both my long run and ride for the week. I’ll ride over 300+ km, run 60+ km and swim 8 Km this week which will be close to the maximum. Here is my training plan for this week. Besides the bike ride which will go as high as 160 km this is the maximum that I will do in both volume (distance) and time. Because recovery is key it is always a balance between doing the distance and having enough rest. For instance I will never run more than 30 km in training due to the time it takes to recover which will affect all the other training. Also riding will be capped at 160 km. Three weeks out from an Ironman race I start cutting back both time and volume to allow full recovery so that I can perform at my best on race day. More on that closer to the race. Nutrition is the key to any endurance sport and particularly Ironman. You simply can’t consume enough calories or rely on your body’s stores for the duration of the race. Everyone will have different needs due to unique factors such as size, age and speed. The pro racers will only be out there for 8-8.5 hours whereas some age groupers will take the whole 17 hours and everyone else will be in between. The saying of don’t try something new on race day is never more important than in the nutrition department. Your stomach won’t be the same after 8 hours of racing and halfway through a marathon. 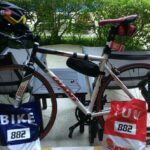 If your Ironman race is hot and humid like Ironman Malaysia will be, then you need to pay even more attention to details. First I like to break down Ironman nutrition into the three parts of the race. The start and swim I put into the same category as you’ll not have anything on the swim besides some salty mouthfuls of water. Arriving fully hydrated but not over hydrated is key. A good breakfast with eggs and coffee and something easy to digest like hummus always works well. I’ll have a sports drink on the way to the race and while I set up in transition. In the months leading up to the race I can’t really do much in the way of preparation for this besides a healthy diet. The bike leg is where you’ll spend the longest time and where it is easiest to take in nutrition. You need to experiment and get it right in training. I have to have some solids in the form of power bars while others won’t have anything besides gels. 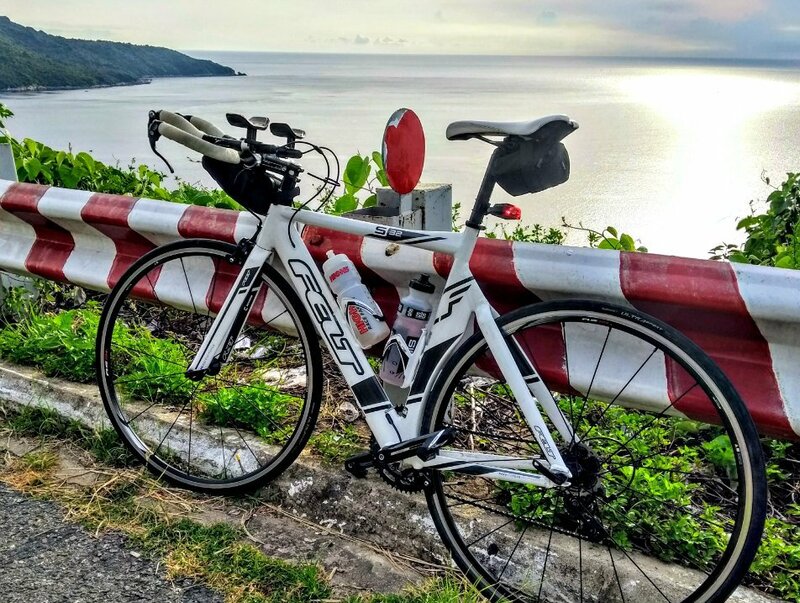 Ironman Malaysia training on my Felt bike. Looking out across a beautiful bay north of DaNang. I drink about 750 ml of water per half hour if its hot climate Ironman race like Malaysia. I need to practice both drinking and eating while riding the bike and making sure I can do it and that my stomach is happy. Cutting the bars into small amounts helps so that I can easily grab then as I ride. I’ve recently found the official drinks sponsor for the race and can buy that and use that in the training. It isn’t as good as what I’d normally use so need the two months to get my stomach adjusted to it. All these things are best done months out to avoid surprises race day. As this block ends I’ll review how my fitness and results have gone. If I’m going well then it will be a slower rest week of 75% of the last week and then gearing up for the last 3 weeks before taper. If I need to tweak some of the training now is the time to do that. Either more volume or more sessions or in some cases cutting back if I’m not recovering quickly enough. The training isn’t going to help if I’m not getting the recovery time that I need. Being mentally set plays a huge part in the training and will either make or break your race. 25-30 km into the marathon it will be hurting and this is where being mentally fresh and focused will pay dividends. I want to arrive on the start line rearing to go and not feeling flat. Something I was guilty of in Wales Ironman 2016. The taper is something I’ll really be paying attention to this year. I’ll check back in in about a months time to let you know how its all going. So far so good. Nice one! Good luck on your training and on the Ironman competition itself. I wish I could join an Ironman competition, but I definitely need a lot—a LOT—of training. Thanks for reading. Yes it does take a lot of training. Too much if you ask anyone else in the family i’d say. That said it is great fun and a real achievement once you do one. It looks like it would fit nicely with your lifestyle though. Start with a half and build up if you like them. Good luck with the travels. You have a solid strategy and training plan, well done! A lot of people don’t pay attention on what drinks/nutrition will be supplied at the race, nice tip. Do you always race with your own bike? Thanks for taking the time to read my post. Yes in planning it is all going well. Now to put the plan into action. Only concern is the Lucazade that will be the official drink on the race. In Phuket last year I didn’t like or react well to the drink there. At least I’m pre ready for this race now. I do normally travel mostly with the bike but it is annoying and try to leave it if we return to somewhere and I won’t need it. When we are traveling with it I don’t think I’m the most popular person in the family. 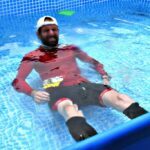 Loved some of the tips in your race recap from when you did Ironman Malaysia. Good luck in Phuket this year. Just as hot or more but no monkeys, just a pedestrian bridge. Enjoy.